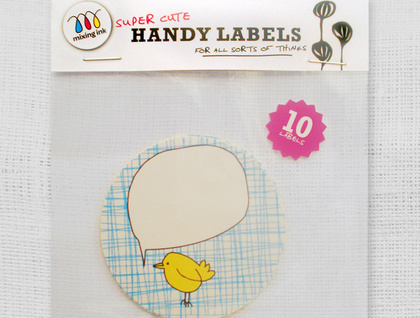 This pack contains 10 glossy sticky labels with a yellow bird and speech bubble. They are the perfect finishing touch for gifts, invitations, baked goodies, home made jams and anything else that takes your fancy. Labels are 60mm in diameter. I am happy to combine postage if more than one item is purchased. Contact mixing_ink to enquire about payment or shipping options. Super cute handy labels, for all sorts of things.